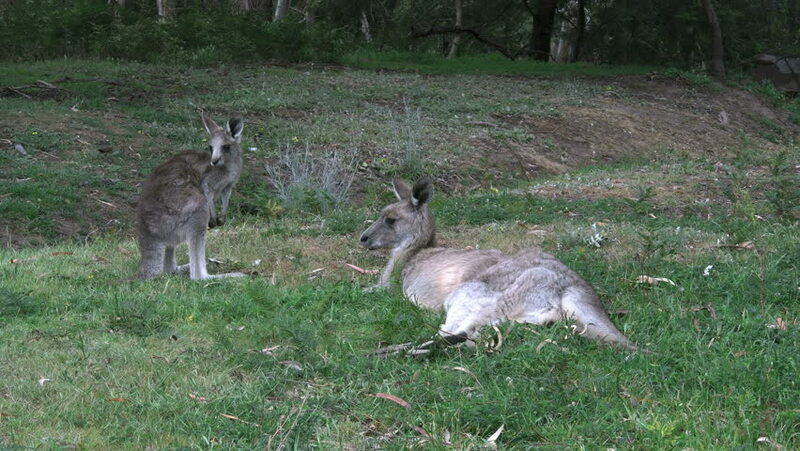 A young kangaroo scratches while its mother rests in the grass. hd00:30Flock of Waterbuck antelopes. South Africa, Kruger National Park. hd00:28Female European Roe Deer (Capreolus capreolus) greets morning of shady hillside. 4k00:21in Zoo Two Antelope Grazing in the Meadow on a Summer Day. in the Foreground on the Grass is a Large Antelope. She is Resting. Other Antelope Saved Behind Her. in the Background Trees and Bushes.